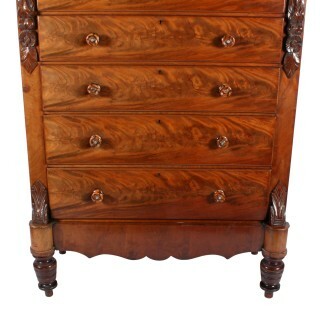 A very large 19th century Victorian mahogany ‘Scotch’ chest of drawers. 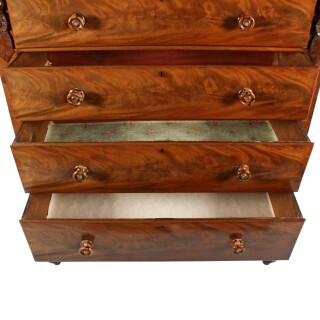 The chest has seven drawers with figured mahogany veneer fronts, pine linings and turned wood knob handles. 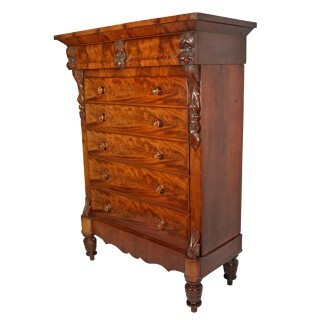 The ogee shaped frieze just below the over hanging top has two concealed drawers with carved decorations between and to either side. 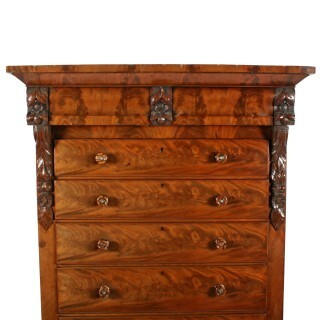 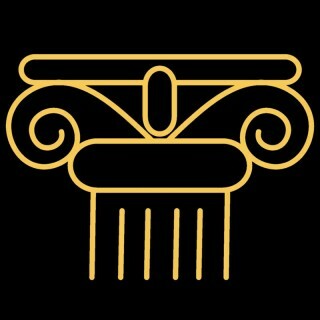 The frame of the chest is decorated with carved corbels which can be lifted off when the chest is moved. 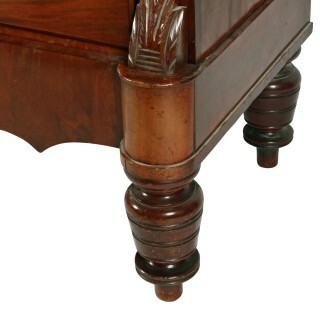 The chest stands on a deep shaped plinth base which is raised on bold turned legs. 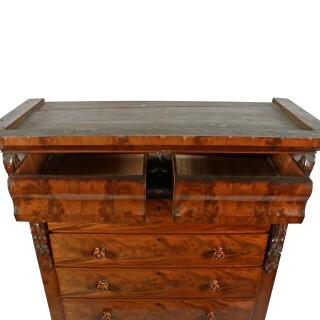 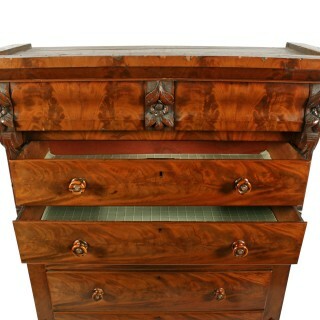 The chest is strong and in good condition with a few chips to the edges of the veneer especially the very top edge.